Thousands of young people will not have a safe place to call home for the holidays, a large proportion of who identify as lesbian, gay, bisexual, transgender, queer, and 2-spirit (LGBTQ2S). This time of year can be a sad reminder for far too many LGBTQ2S youth of just how unsafe their homes are or were. It can bring up a lot of difficult and traumatic memories, resulting in isolation, feelings of loneliness, anxiety, depression, and other mental health difficulties. 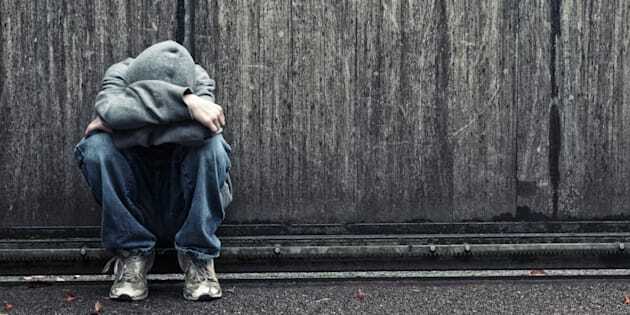 Although we live in a country that is often described as one of the safest in the world for LGBTQ2S people, many are surprised to hear that LGBTQ2S youth and young adult homelessness continues to be an emergency situation across the country, with up to 40 per cent of youth experiencing homelessness identifying as LGBTQ2S. Over the years, I have worked with some of the most marginalized, excluded, and silenced young people in Toronto, and some of the most resistant service providers and decision makers. The systems that we currently have in place, which are meant to serve, protect, and support those in need, often perpetuate violence and discrimination against LGBTQ2S people. There have been some changes over the past year, but we are nowhere near where we should be. It is shameful that as we enter 2018, all levels of government and key decision makers continue to argue the need for even more evidence that LGBTQ2S youth disproportionately experience homelessness and violence in shelters and support services. Homophobic and transphobic violence and discrimination continues to create major barriers for LGBTQ2S youth attempting to access housing and shelter services. Not only do LGBTQ2S youth at-risk of or experiencing homelessness in major urban settings across the country have few places to turn to for support, but also LGBTQ2S youth in rural communities frequently have nowhere to go. "I have no place I feel safe. There's nowhere to go, and I thought there would be because this is Toronto, if the rest of Ontario has nowhere for me to go I thought Toronto would at least have somewhere, but they don't and I have been all over the place, I have been everywhere in this area. There's nowhere to go." We have known about this issue for well over two decades, but still there is a major lack of response and action to address these issues in a meaningful and impactful way nationally. For example, there are not enough housing programs prepared and able to meet the needs of this population of young people, especially those in crisis, requiring immediate support, or those with more complex mental health needs. Alberta is currently the only province in Canada with a provincial strategy to address LGBTQ2S youth homelessness, and far too many housing, healthcare, and support services struggle with how to even utter the words "what name and pronouns do you go by?" I recently evaluated YMCA Sprott House, Canada's first transitional housing program for LGBTQ2S youth, located in Toronto, Ontario. All youth were asked to reflect on their previous housing experiences. The majority of youth described having to escape homes and families that were psychologically, emotionally, and physically abusive, only to be met with a shelter system filled with institutional barriers and normalized homophobia and transphobia. LGBTQ2S youth are made to feel invisible in so many different ways. For example, there is an expectation in shelters, housing programs, and health care services that every person is going to fit into the gender binary and identify as either "male" or "female." This way of thinking is harmful because it does not consider the existence of trans and gender expansive people, leading to a situation where, as trans people, we have to constantly hide who we are. When we don't ask inclusive questions, we erase people. People need to see themselves reflected in key forms, surveys, and research. Asking the right questions matters and I am thrilled to be working with the Homelessness Partnering Strategy (HPS) on LGBTQ2S inclusion for the 2018 National Point-in-Time Count. As people prepare for the holidays, LGBTQ2S youth across the country are literally dying. It is not enough to promise young people that it gets better. It only gets better when we make it better, which requires real action and a solid commitment from all levels of government. We cannot afford to wait another year. Everyone deserves a safe place to call home.